"I have had the opportunity to work with Rob Bick for over 10 years and he has always exceeded my expectations. Recently, we had the opportunity to sell our company to a publicly traded company and Rob was our chief attorney on that deal. Rob was amazing and his incredible hard work, methodical approach and experience have proven to deliver the best possible deal for our company and we have had NO issues with the buying entity because of how detailed Rob was in negotiating and developing the final agreement." Robert S. Bick possesses extensive corporate law experience, having completed hundreds of merger, acquisition, divestiture, going private, financing, and related transactions. 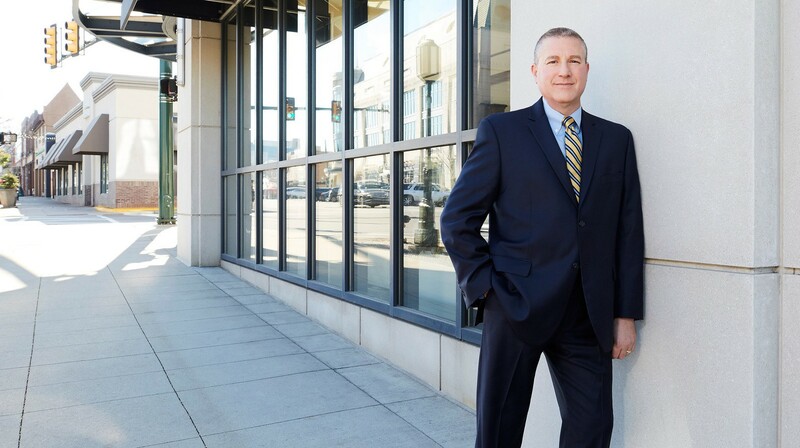 For more than thirty years, he has represented clients of all sizes across a range of industries in corporate and business law matters. Robert counsels and represents public and private companies, entrepreneurs, venture capital and private equity groups, boards of directors and business owners on matters related to corporate law, mergers and acquisitions, divestitures, private placements, private equity, securities, tax, commercial and private lending (senior, mezzanine and subordinated credit facilities), corporate governance (counsel to corporate officers and board members) and related business law matters. Additionally, Robert advises clients in the areas of strategic business and tax planning, entity selection and formation, contract drafting and negotiation, and structuring, negotiating, drafting and completing purchase, sale, finance, and restructuring transactions. He is frequently honored by peers and ranking organizations for outstanding accomplishment in the field of corporate law, including most recently being named the 2016 “M&A Attorney of the Year” by the Association for Corporate Growth (ACG). Sale of equity interests in a National Basketball Association team and sports arena to a U.S. based private equity group. Sale of U.S. based aerospace tooling manufacturing companies to U.K. based publicly traded company. Sale of pharmacy benefit management company to NASDAQ listed company. Acquisition of software licensing company by world's leading mainframe-dedicated software company. Recapitalization and acquisition of controlling interest in U.S. based publicly traded company by European based private equity group. Acquisition of division of NYSE listed company engaged in the business of manufacturing and selling medical products and devices. Sale of equity interests in affiliated group of companies engaged in the business of owning and operating manufactured housing communities located throughout U.S. to publicly traded REIT. Recapitalization of NASDAQ listed financial services company engaged in the business of providing and servicing loans used to finance commercial real estate and manufactured homes. Sale of software licensing company to NASDAQ listed software licensing and networking company. Sale of equity interests in a food industry equipment manufacturing company with world-wide operations to strategic buyer. Recapitalization and refinancing of affiliated companies engaged in the business of inter-coastal oil barging. Sale of regional industrial roofing companies to roofing industry consolidator in roll-up transaction. Acquisition of manufacturer and distributor of aluminum extrusions with national operations by private equity group. Sale of equity interests in manufacturer and distributor of optical lens and optical lens coatings to publicly traded strategic buyer. Recapitalization and financing of automotive leather supplier with international operations. Recapitalization and acquisition of controlling interest in U.S. based machine tool manufacturing company by China based equipment manufacturing company with world-wide operations. Eleven attorneys from Williams, Williams, Rattner & Plunkett, P.C., in Birmingham, Michigan, were named to the 2018 Michigan Super Lawyers and Rising Stars lists. Ten attorneys from Williams, Williams, Rattner & Plunkett, P.C., in Birmingham, Michigan, were named to the 2017 Michigan Super Lawyers and Rising Stars lists. Robert S. Bick selected to serve as a panelist at seminar co-sponsored by Comerica Bank and ACG Detroit entitled "Succession Planning: Creating Value Prior to a Sale"
Four attorneys from WWRP have been selected for inclusion in dBusiness Magazine's list of "Top Lawyers in Metro Detroit - 2016"
Nine attorneys from WWRP have been selected for inclusion in Thomson Reuters' list of "Michigan Super Lawyers 2016"
Eleven attorneys from WWRP have been selected for inclusion on Thomson Reuters' list of "Michigan Super Lawyers 2015"
Ten attorneys from WWRP have been selected for inclusion in Thomson Reuters' list of "Michigan Super Lawyers 2014". Ten attorneys from WWRP have been selected for inclusion in Thomson Reuters' list of "Michigan SuperLawyers 2013"
Seven Attorneys from WWRP selected for inclusion in dBusiness Magazine's list of "Top Lawyers in Metro Detroit 2013"
Eight attorneys from WWRP have been selected for inclusion in Thomson Reuters' list of "Michigan Super Lawyers for 2012"
Two attorneys from WWRP selected for inclusion in dBusiness Magazine's list of "Top Lawyers in Metro Detroit 2012"
Three attorneys from WWRP selected for inclusion in dBusiness Magazine's list of "Top Lawyers in Metro Detroit 2011"
Eight attorneys from WWRP selected for inclusion in Thomson Reuters' list of "Michigan SuperLawyers 2011"
Ten attorneys from WWRP selected for inclusion in dBusiness Magazine's list of "Top Lawyers in Metro Detroit 2010"
Eight attorneys from WWRP have been selected for inclusion in Thompson Reuters' list of "Michigan SuperLawyers 2010"
Seven attorneys from WWRP selected for inclusion in Thompson Reuters' list of "Michigan SuperLawyers 2009"
Five attorneys from WWRP selected for inclusion in Thompson Reuters' list of "Michigan SuperLawyers 2008"
Five attorneys from WWRP selected for inclusion in Thompson Reuters' list of "Michigan SuperLawyers 2007"
Robert S. Bick selected as a finalist in the "Financing Transaction of the Year – Mixed" category at the M&A Advisor's Middle Market Financing Awards.